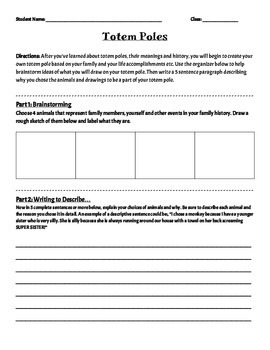 Use this worksheet to help students brainstorm ideas for creating a totem pole as an activity during a Native American unit study. Introduce totem poles, their history, and different animals with their meanings for totem poles before doing this activity. A writing piece accompanies the drawing part on this worksheet.